United Nations (United States) (AFP) - The United States pressed all nations Saturday to "stand with the forces of freedom" in Venezuela, encouraged by a tougher European line as Russia stood in the minority in backing embattled leader Nicolas Maduro. 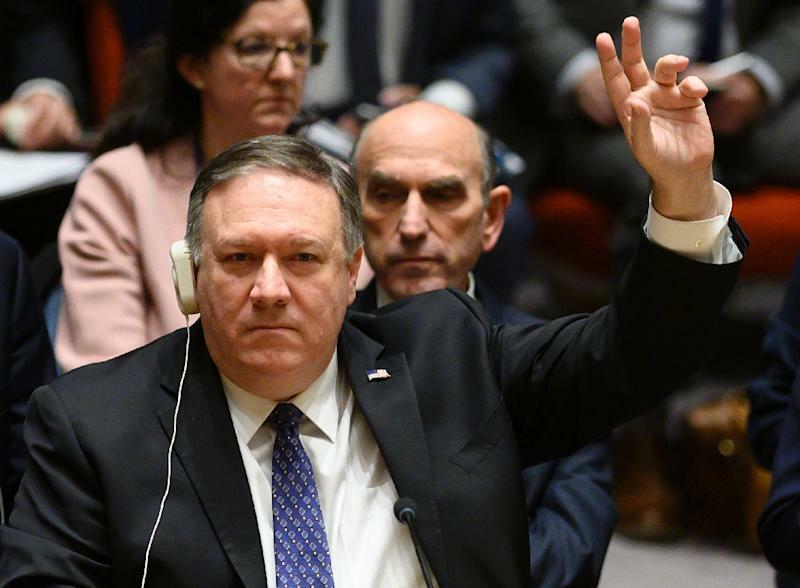 US Secretary of State Mike Pompeo made a forceful case at a special session of the United Nations Security Council, where he described Maduro as part of an "illegitimate mafia state" responsible for Venezuela's economic collapse. With mounting protests over Venezuela's crisis in which more than two million have fled shortages of basic food and medicine, Pompeo asked all nations to follow the US in recognizing opposition leader Juan Guaido as the interim president. He also urged all countries to end financial transactions with Maduro's government, which has struggled to pay bills despite the country's oil wealth. Pompeo denounced Russia and China, which have stood by Maduro, saying that they were "propping up a failed regime in the hopes of recovering billions of dollars in ill-considered investments and assistance made over the years." 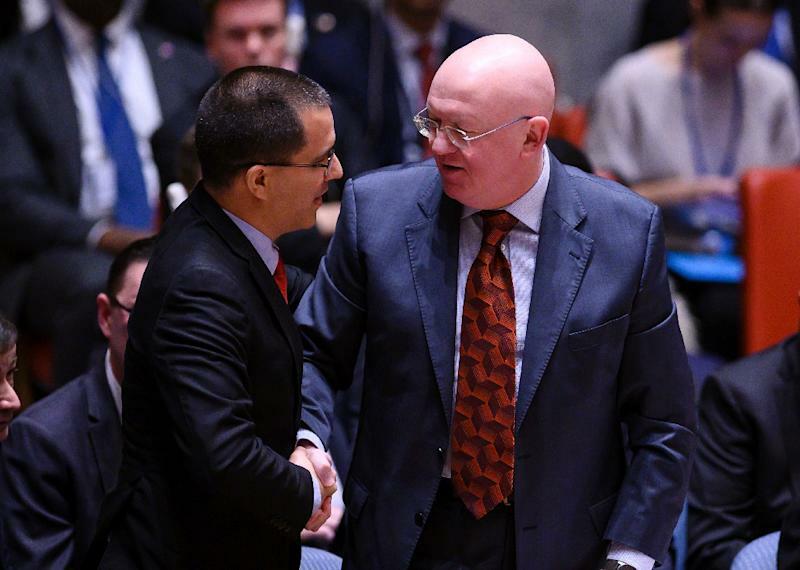 But Russia blocked a draft Security Council statement seen by AFP that would have offered full support to Guaido and called the National Assembly that he heads "Venezuela's only democratically elected institution." "Venezuela does not pose any threat to peace and security. The intention of the United States is to orchestrate a coup d'etat," said the Russian ambassador, Vassily Nebenzia. He accused the United States of continuing to treat Latin America as a "backyard where you can do anything you want" and, in a shot at the Europeans, said Russia would not raise France's populist Yellow Vest protests at the Security Council. President Donald Trump's recognition of Guaido has been supported by many Latin American powers including Brazil, Colombia and Argentina -- but not all. European powers, after cautious initial statements, on Saturday warned that they will recognize Guaido unless Maduro calls elections within eight days. 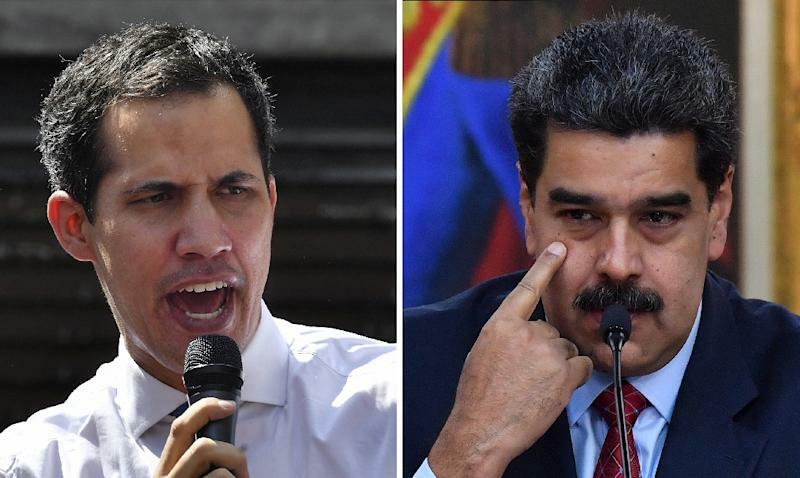 "If within eight days there are no fair, free and transparent elections called in Venezuela, Spain will recognize Juan Guaido as Venezuelan president" so that he himself can call the vote, Spanish Prime Minister Pedro Sanchez said in a televised announcement. Britain, France, and Germany followed suit, with French President Emmanuel Macron tweeting: "The Venezuelan people must be able to freely decide on their future." Venezuelan Foreign Minister Jorge Arreaza rejected the ultimatum, accusing the Europeans of "putting themselves at the tail" of Trump. "From where do you get the power to issue deadlines or ultimatums to a sovereign people?" he told the Security Council. The 28-member European Union is not united on Venezuela, with Greece's ruling left-wing Syriza party voicing "full support and solidarity" for Maduro. Maduro's reelection last year was contested by the opposition and rejected by the US, EU and UN as a sham -- but he has until now retained the loyalty of the powerful military. Guaido, who has managed to galvanize a previously divided opposition, this week attempted to attract military support by offering an amnesty to anyone who disavows Maduro -- and suggested amnesty for Maduro himself -- but with no luck so far. He scored a symbolic victory when Venezuela's military attache to Washington, Colonel Jose Luis Silva, announced Saturday he was breaking with Maduro and called on his colleagues in the armed forces to follow suit. But Guaido was also forced to admit he had held a meeting with Maduro's number two Diosdado Cabello after the government published a video of the rendezvous. Guaido had previously rejected an offer of talks, saying he won't attend a "fake dialogue" on a crisis that has left 26 dead in clashes this week between anti-Maduro activists and security forces. More than 350 people have also been detained this week in the protests, UN High Commissioner for Human Rights Michelle Bachelet said Friday. Both Guaido and Maduro have called for demonstrations next week, raising fears of further violence. Maduro has given US diplomats until late Saturday to leave Venezuela. The United States said it was ignoring the order as it no longer considers Maduro the president -- but withdrew non-essential staff and argued that Maduro still bore responsibility for diplomats' safety.